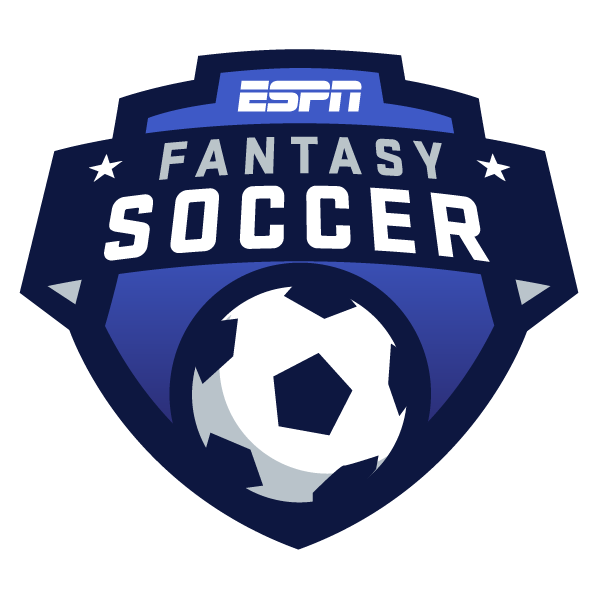 ESPN's fantasy game is back this weekend when the Premier League returns to action after the FA Cup third round and the Carabao Cup semifinals. To help you make your mind up about your eight-man team, we've enlisted the help of ESPN FC senior writer Gab Marcotti to pick out a player from each of the tiers. Check out our detailed breakdown of the scoring system to make sure you're picking your team with this in mind. Get your mates involved ahead of this weekend's round of games and play each other each week in a head-to-head match. But don't worry if you don't get started this week. You can start whenever you want! Every week, you'll submit a new team, or you can actually stick with the same eight ... but only if they are still in the same tiers. So make sure you're always checking and selecting the best team to beat your rival each week. Let's take a look at who Mark has picked for this weekend. And, just as importantly, why. Tier 1 forward -- Roberto Firmino: Nicely rested, after a slowish start to the season he seems to be hitting his stride. Matches up well with Brighton, too. Tier 2 forward -- Jamie Vardy: Southampton have been regenerated by new coach Ralph Hasenhuttl, but Vardy should still get plenty of opportunities on the break against a defence that's still rather ponderous. 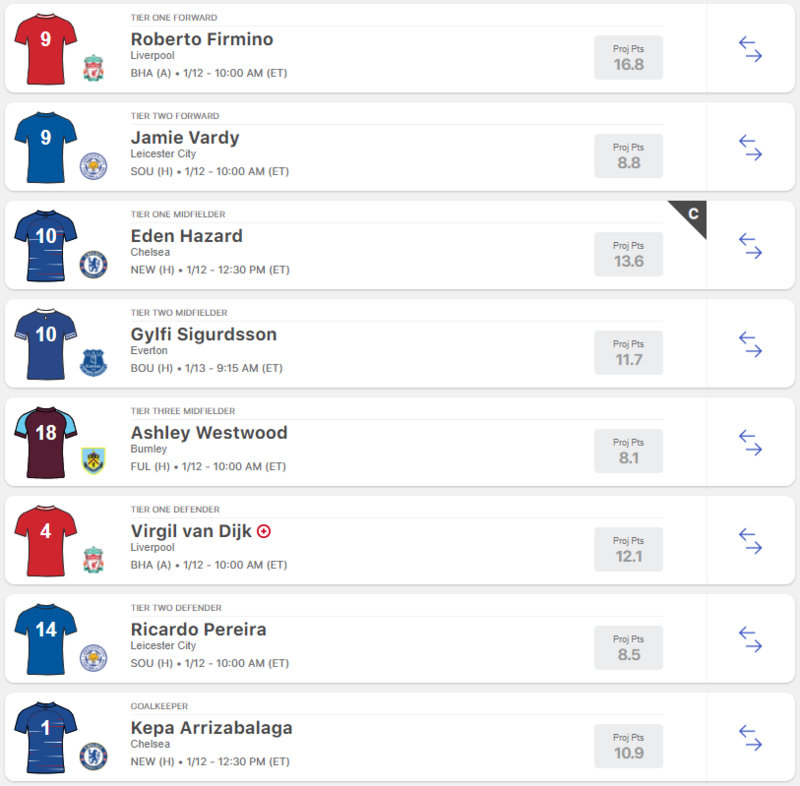 Tier 1 midfielder -- Eden Hazard (captain): Newcastle on the road are better than at home, but if Chelsea score early they could rack up some big numbers. Which is why he gets the captain's armband, too. Tier 2 midfielder -- Gylfi Sigurdsson: Bournemouth are up and down, Sigurdsson's set-piece prowess and his ability to find space, especially given Eddie Howe's team's injuries, make him an attractive pick. Tier 3 midfielder -- Ashley Westwood: Fulham leak goals, Burnley are at home, he's a worthwhile pick given the circumstances. Tier 1 defender -- Virgil van Dijk: Missed the Wolves game, so you expect him to be ready to go. And Liverpool are well equipped to keep Brighton at bay. Goalkeeper -- Kepa Arrizabalaga: Newcastle have trouble scoring, he's been quietly efficient this season as his points total shows.